Despite success of getting more guns off the street Chicago Police Superintendent Garry McCarthy is pushing for stricter gun laws. CHICAGO (WLS) -- Despite success of getting more guns off the street Chicago Police Superintendent Garry McCarthy is pushing for stricter gun laws. So far this year, Chicago police have taken more than 4,800 guns off the streets. There is a 23 percent increase in gun arrests since this time last year, but McCarthy says that number is still too high and there needs to be changes in sentencing and reform. "We need help to make this work, because what we're doing isn't working," McCarthy said. "And when I say we, I'm talking about the entire criminal justice system, I'm talking about the community." 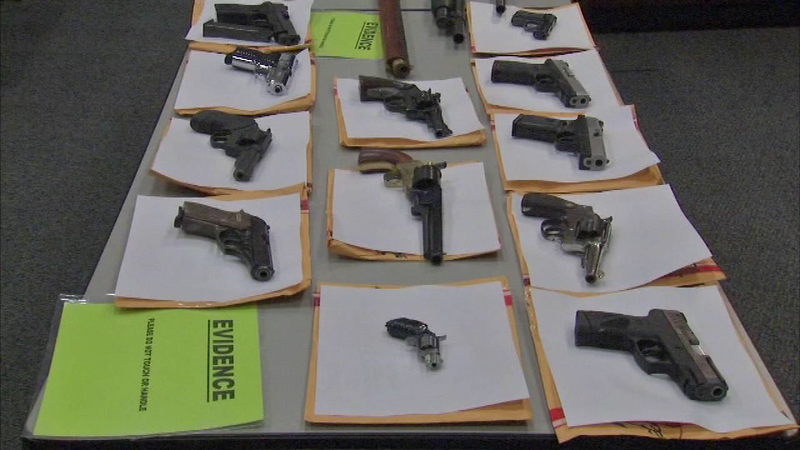 Police say Chicago seizes the most illegal guns than any other city in the country, seven times more than New York and three times more than Los Angeles.